* Techie(S)pArK *: Hadoop Hangover : Introduction To Apache Bigtop and Playing With It (Installing Hadoop)! 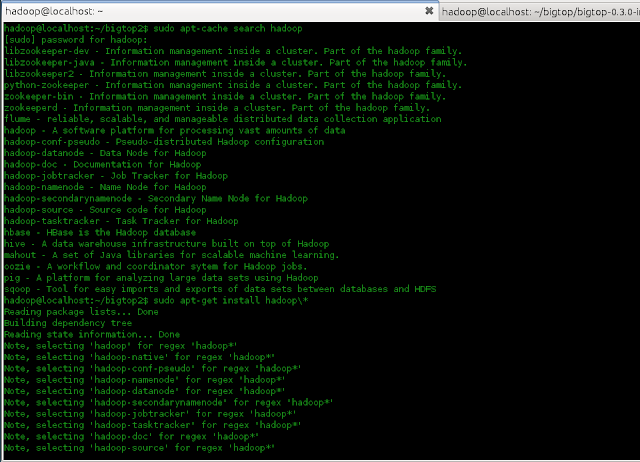 Hadoop Hangover : Introduction To Apache Bigtop and Playing With It (Installing Hadoop)! Ah!! The name is everywhere, carried with the wind. Apache Hadoop!! The BIG DATA crunching platform! 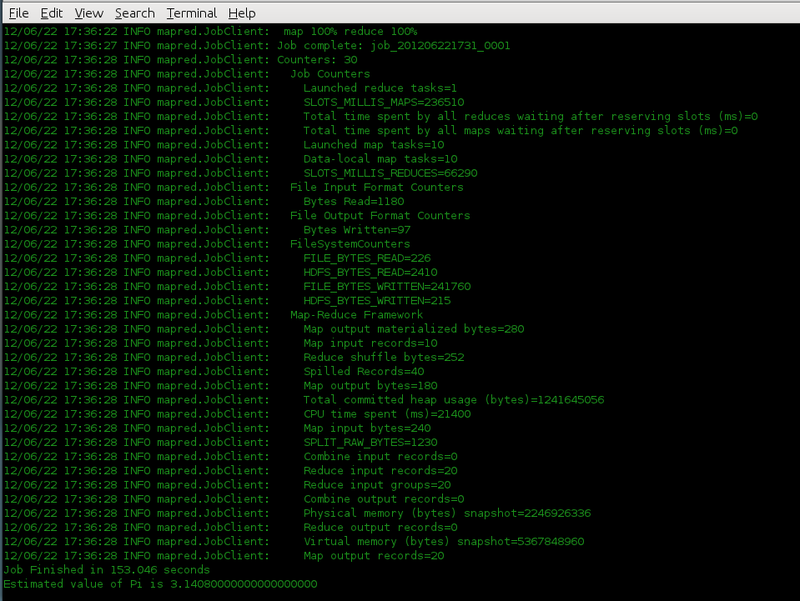 Its my personal experience, nearly 11 months before, I was trying to install HBase, I faced few issues! The problem was version compatibility. Ex: "HBase some x.version" with "Hadoop some y.version". This is a real issue because you will never know which package of what version blends well with the other, unless, someone has tested it. This testing again depends on the environment where they have set up and could be another issue. There was a pressing demand for the management of distributions and then comes an open source project which attempts to create a fully integrated and tested Big Data management distribution, "Apache Bigtop". of all the sub-projects of Hadoop. This project aims at system as a whole, than the individual project. 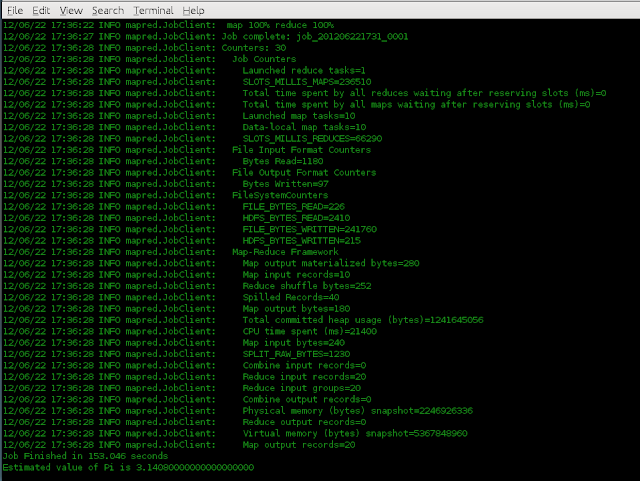 I've tested on Ubuntu 11.04 and here goes a quick and easy installation process. Step 1: Installing the GNU Privacy Guard key, a key management system to access all public key directories. uncomment the mirror link near by. The first link worked for me. Now, the cluster is up and running. 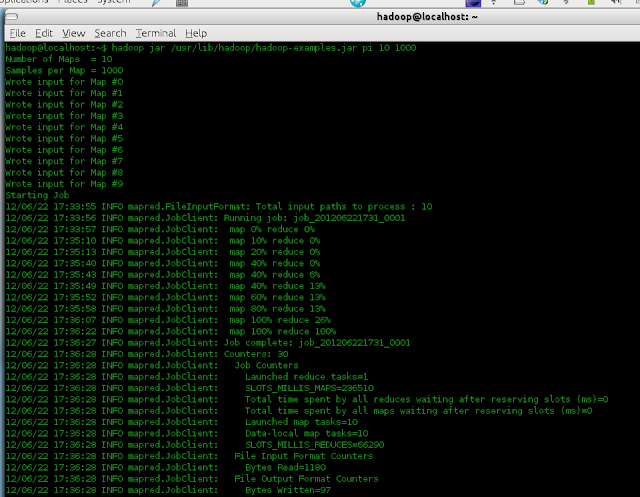 We shall see what more blending could be done with Hadoop (with Hive, Hbase, etc.) in the next post! Such a good post. Thanks. It would have been even better if the background image of your blog was kinda ok. Its almost impossible to read. I had to select each para and then read. Plz check if you want to change your template. Anyways thanks again for a wonderful blog post. Waiting to see more from you. I hope this bg is good to read.